Friday 8/17: Immigrant. Refugee. Asylum. These are words we’ve been hearing a lot this year. But what are the laws around refugees in the United States and internationally and is the U.S. following its legal obligations? 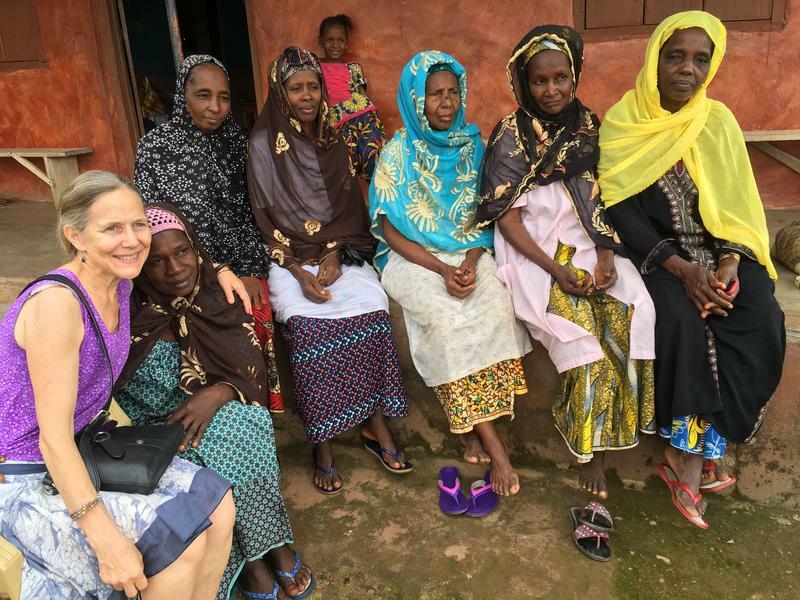 On this episode of University Showcase, we talk with Professor Jennifer Moore. She's an expert on refugee law and teaches it at UNM. 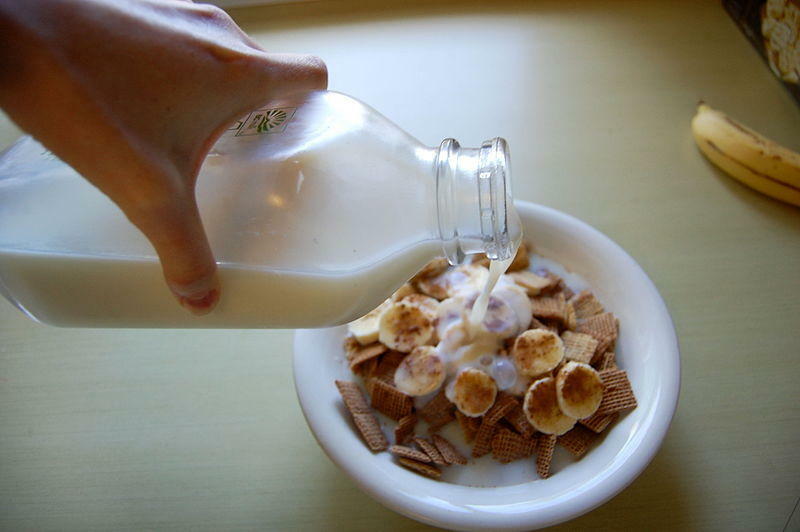 Let’s Talk New Mexico 5/10 8a: About one in four New Mexicans has an EBT card in their wallet that they use to buy food. We’re continuing the conversation this week about food assistance and new work requirements that Congress is considering in the 2018 Farm Bill. Immigration and border security have dominated the headlines this week in New Mexico and across the nation. 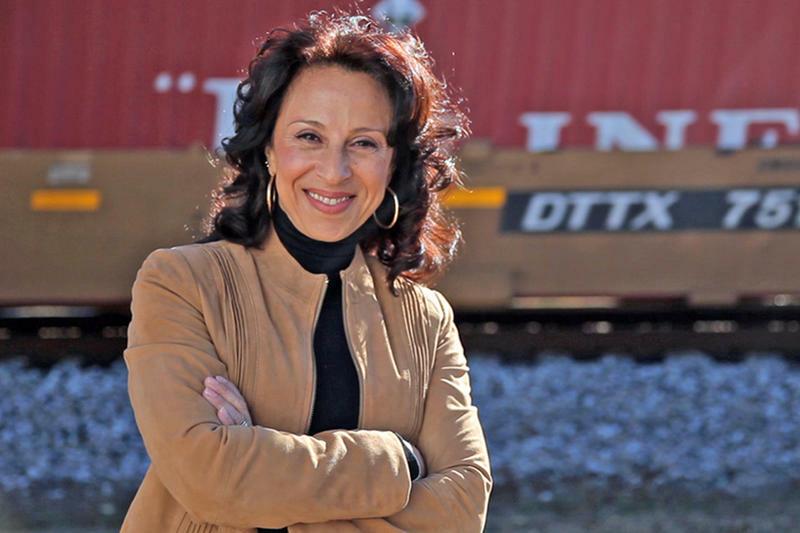 Latino USA’s Maria Hinojosa has been covering these issues for many years and she says this is one of the most horrible, beautiful times to be a journalist. 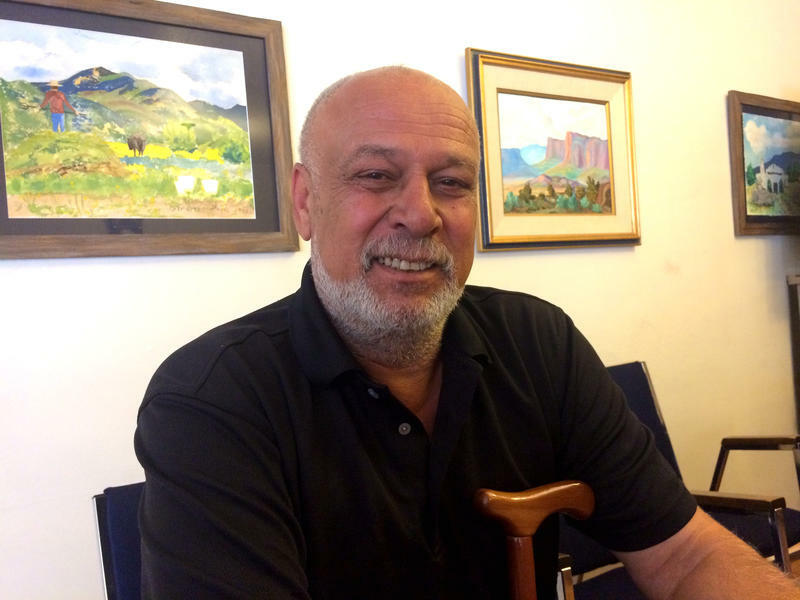 The founder of The Futuro Media Group spoke with KUNM's Megan Kamerick. 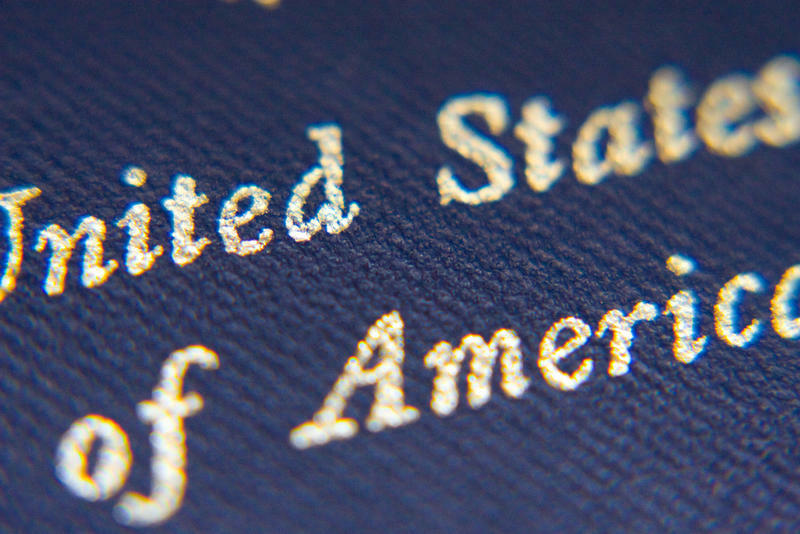 The U.S. Census count is two years away, but the return of a controversial citizenship question has prompted New Mexico’s attorney general to file a lawsuit. 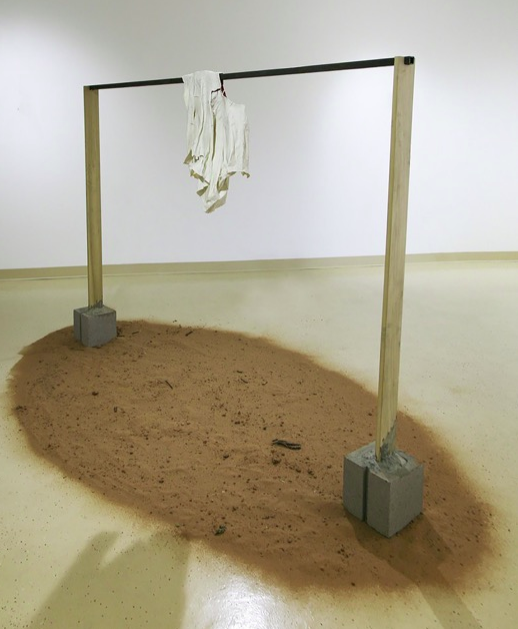 Americans are deeply divided over how to handle immigration and an art exhibit in Albuquerque is working to bring new perspectives into the conversation. UCLA Law Professor Laura Gómez grew up in New Mexico and she says it’s critical to know the history of racism against Mexican Americans and Latinos in the Southwest in order to understand today’s anti-immigrant and anti-Latino rhetoric and policies. 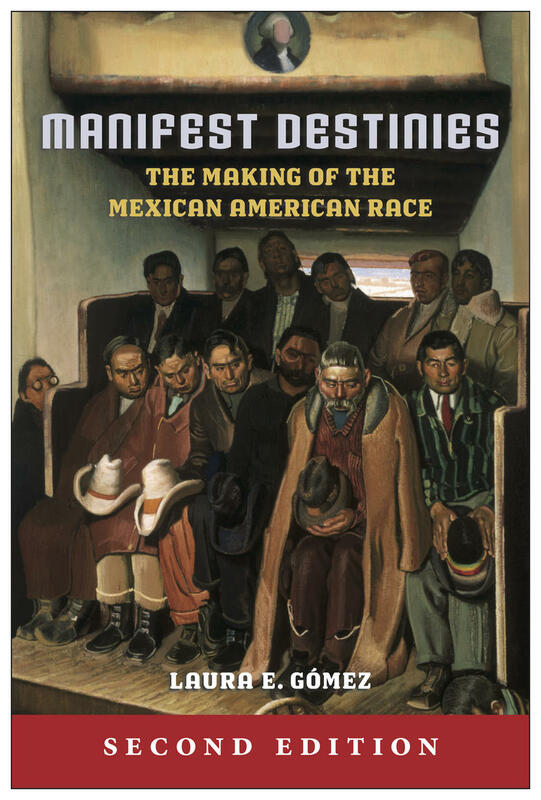 She'll appear at Bookworks in Albuquerque on Saturday, March 10 at 3:00 p.m. to discuss her book Manifest Destinies: The Making of the Mexican American Race. 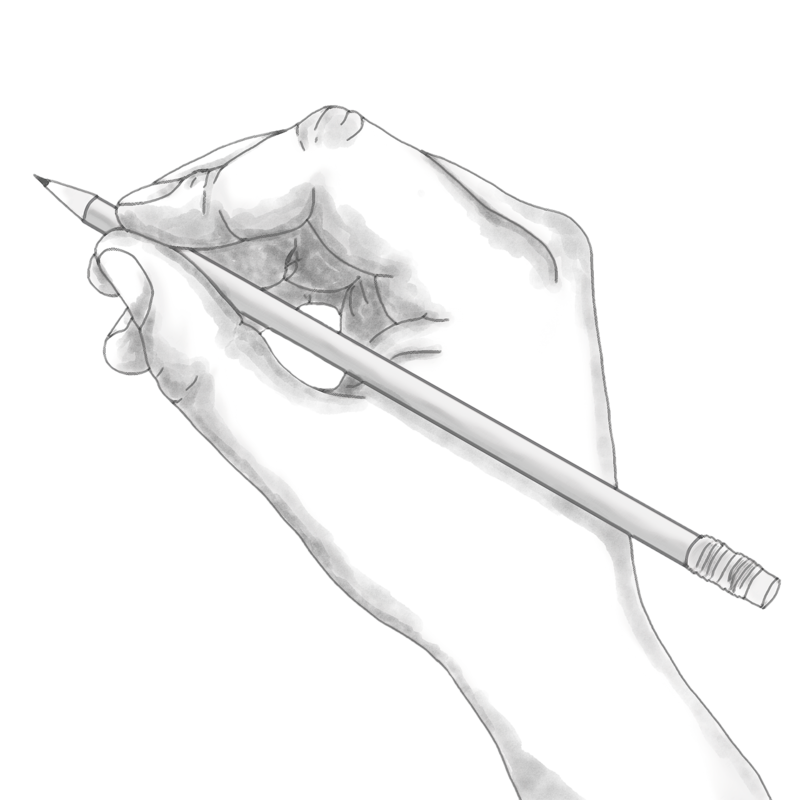 The Albuquerque Journal is facing a backlash after publishing a racist editorial cartoon on Wednesday, Feb. 8. A short-term federal budget is set to expire at midnight on Thursday, and there could be another government shutdown. Some lawmakers in D.C. refused to support the budget bill if protections for young people who were brought to the U.S. as children were not included. 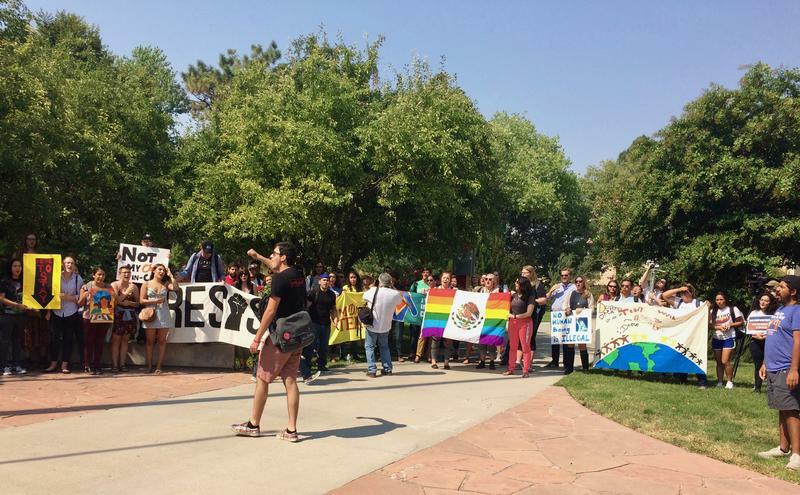 Here in Albuquerque, college professors, Dreamers and allies gathered outside the Downtown offices for Sens. Tom Udall and Martin Heinrich to demand that they fight for a Dream Act in Congress. Let's Talk New Mexico 2/1 8a. Call 277-5866. Division over immigration policy shut down the federal government for three days. And in his State of the Union address this week, President Trump compared immigrants to criminal gangs and terrorists and again called for an overhaul of the nation’s immigration laws. We’ll look closely at issues of race and Latino and Hispanic identity in New Mexico and how they inform policy and political rhetoric on immigration at the local and national levels. 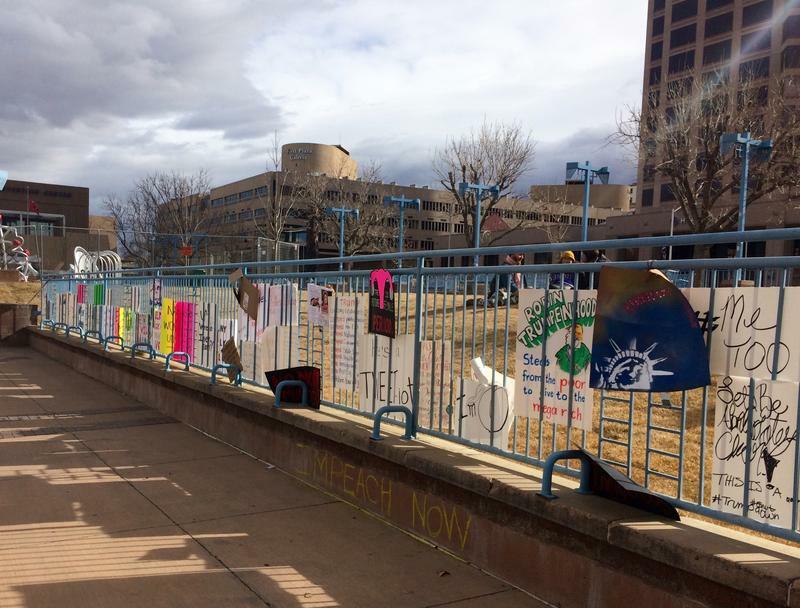 People took to the streets all over the world, around the country and here in New Mexico for a second year of women’s marches. The concerns they raised were broad, including protecting the environment, fighting systemic racism, health care access, police violence and immigration reform. Women’s marches sprung up for a second year in villages, towns and cities around New Mexico this weekend with a call to vote in the coming elections and change the political climate. 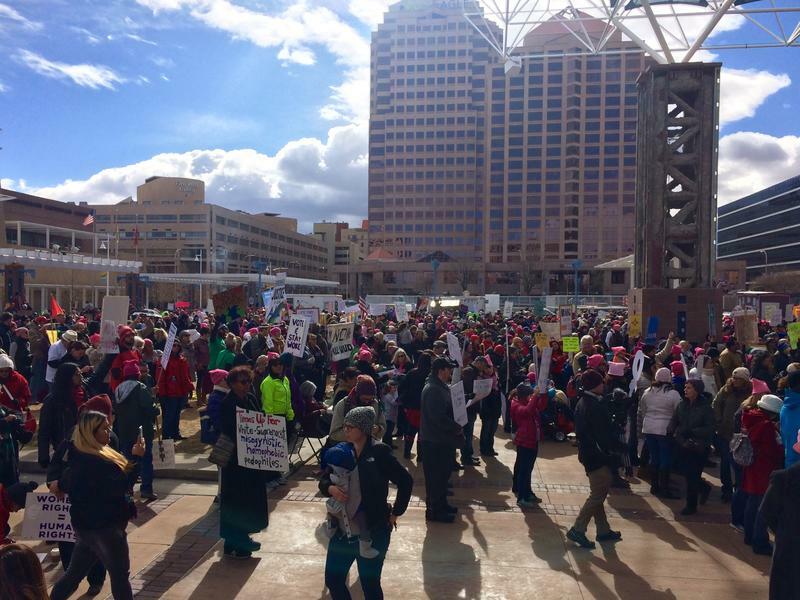 While the movement has been criticized nationally for a lack of diversity, Albuquerque’s rally was led by women of color. Every person who immigrates to the United States has a story and Larry Smith has been asking people to share their stories in just six words. 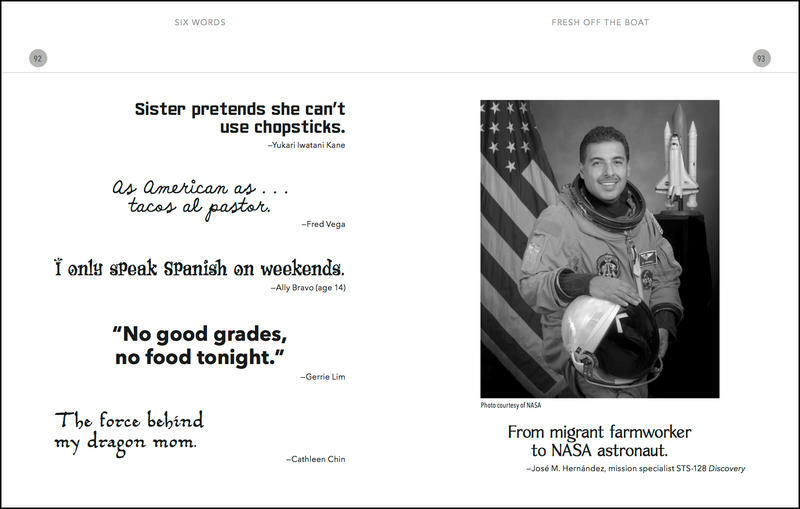 The newest of his Six Word Memoirs series is called Fresh Off The Boat, Stories of Immigration, Identity and Coming to America. He spoke with KUNM's Chris Boros. 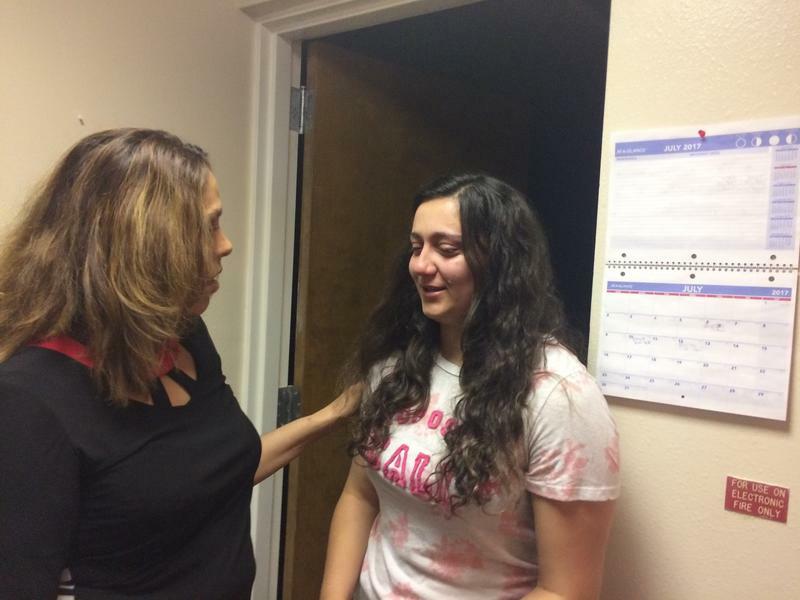 All over the country, people who signed up for the Deferred Action for Childhood Arrivals program have been speaking out about President Trump’s decision to rescind that program. And a federal judge said on Thursday that he’s going to try to rule quickly on the lawsuits filed to challenge the end of DACA, which shielded many college students. 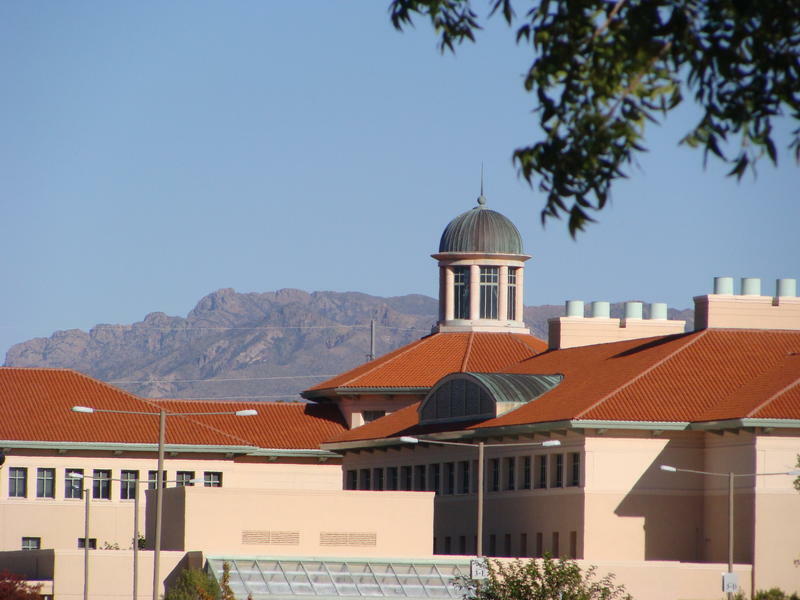 Down in Las Cruces, New Mexico State University sits just 40 miles from the border. Former Republican Gov. Garrey Carruthers is the chancellor there. He said the university has no idea how many DACA students attend NMSU, because they don’t ask people about their status when they enroll. Trump’s decision, he said, was a violation of trust. KUNM Call In Show 8/17 8a: Call now - 505-277-5866 (local in Albuquerque). 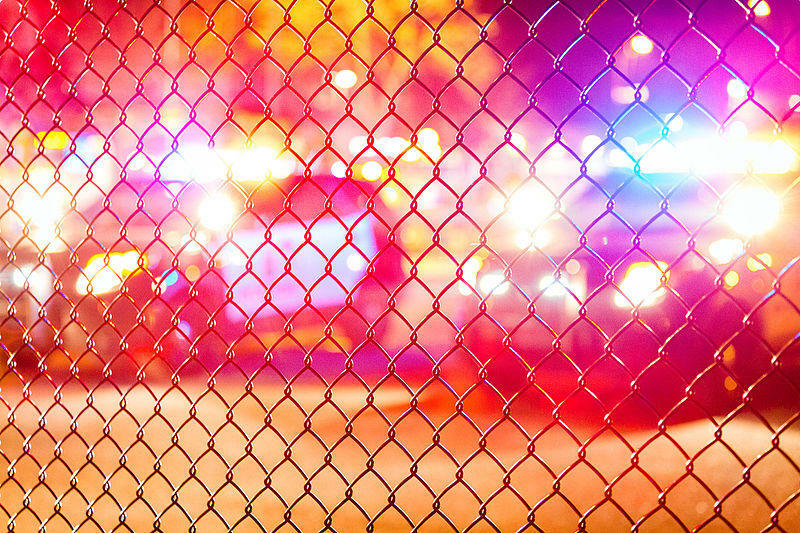 Not everyone reaches out to law enforcement when they're in danger or when they're victims of a crime. 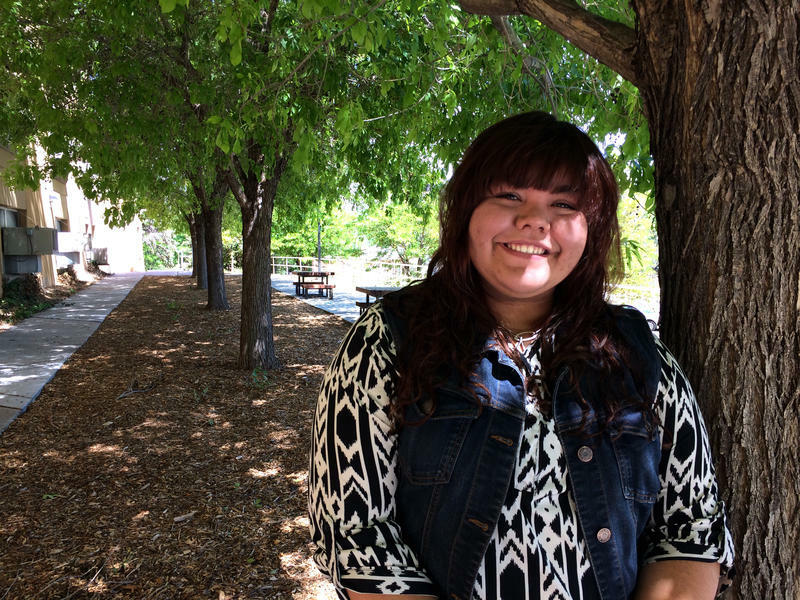 With the federal government trying to crack down on undocumented immigrants in New Mexico, advocates say even more people here are unwilling to call police for help. But this is an ongoing issue here and all over the country. About 1,400 Iraqis could be deported from the U.S. under President Trump’s new policies. 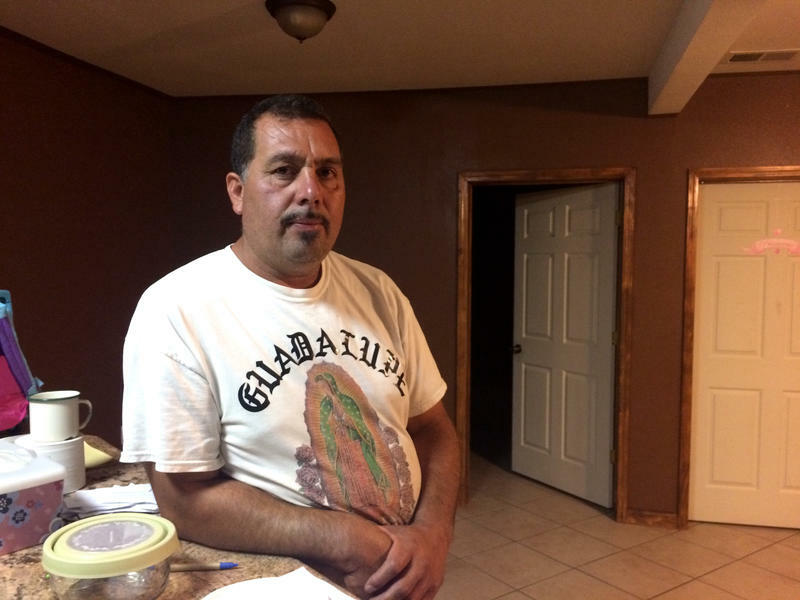 A federal judge temporarily halted their deportation through Monday, July 24, but a man who lives in Albuquerque has been ordered to report this week for removal from the U.S.—it could be dangerous for him. People around the globe demonstrated and marched for workers rights on Monday in celebration of International Workers Day. 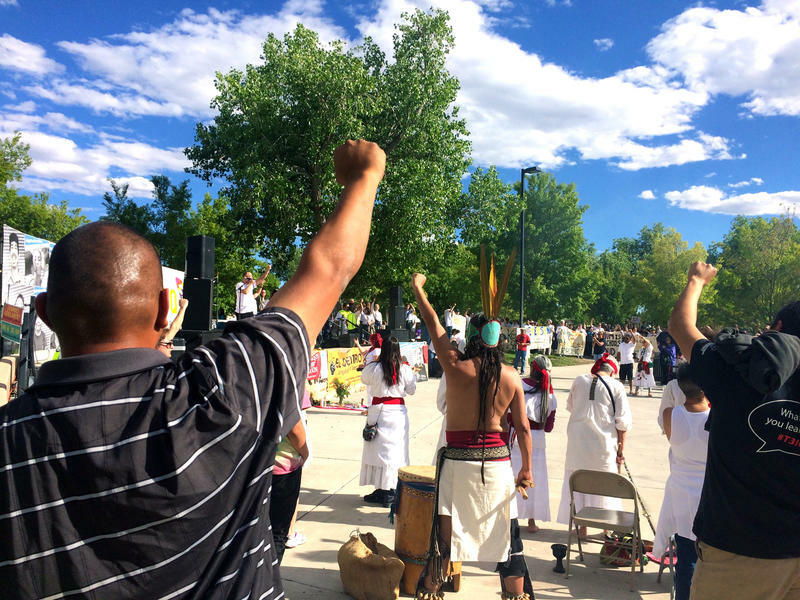 In Albuquerque, hundreds gathered in Tiguex Park. 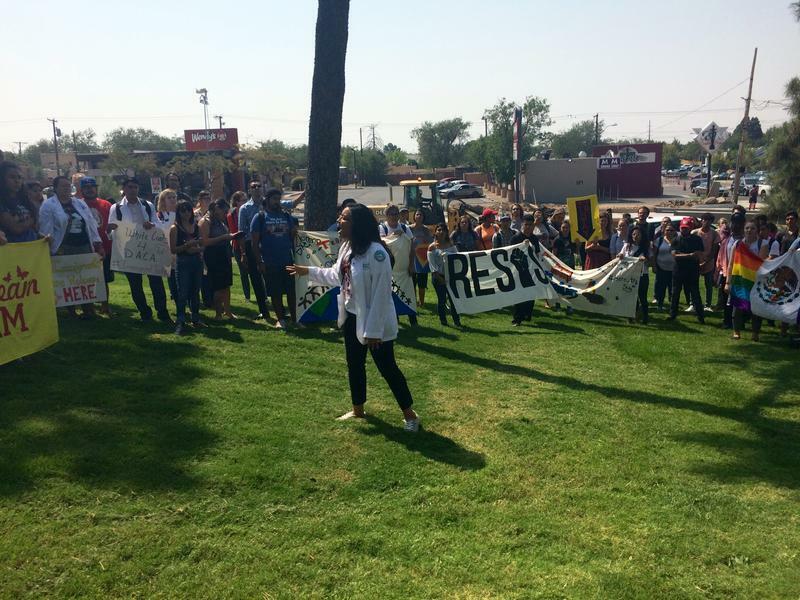 The rally highlighted how education, labor and immigrant rights are entwined in New Mexico. May 1 is International Workers Day, a celebration of the working class and labor around the world. 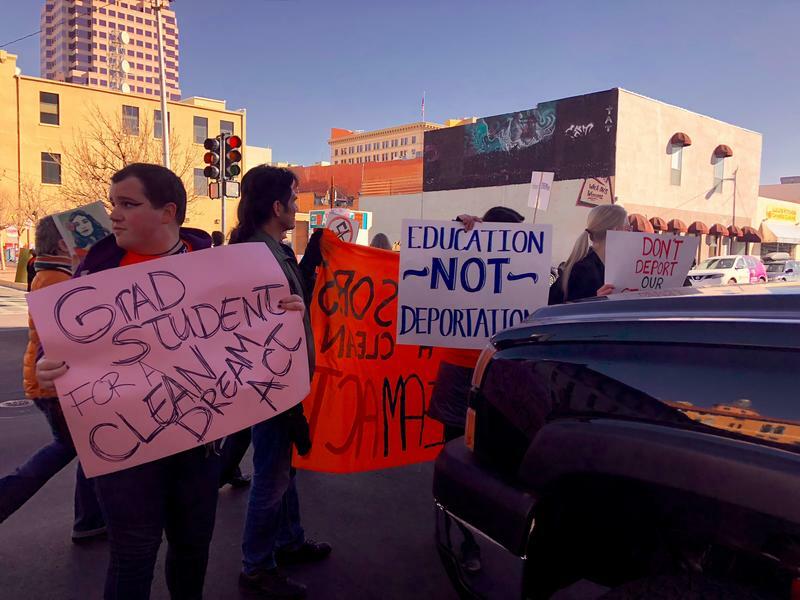 Here in New Mexico, civil rights organizations, religious leaders, unions and families will participate in a national strike and marches, and a rally in Albuquerque that’s expected to draw thousands. The Center for Biological Diversity filed a lawsuit against President Trump’s administration last week targeting a plan to build a wall along the U.S. border with Mexico. The group is calling for the federal government to investigate the wall’s environmental impacts. This week Attorney General Jeff Sessions said he would withhold federal grants to cities that don’t follow federal rules on immigration enforcement. Santa Fe Mayor Javier Gonzales has been an outspoken critic of the Trump Administration’s stance on immigration. He says he won’t be changing the city’s openly immigrant-friendly policies. 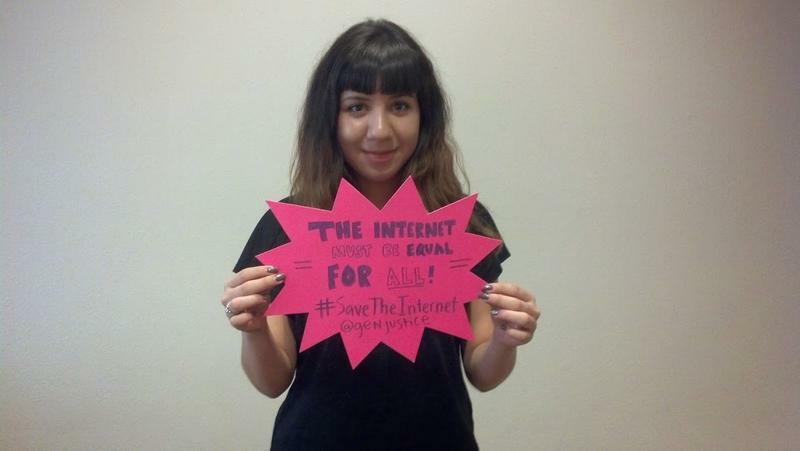 Sun 03/26 7p: This week on Generation Justice our show focuses on Net Neutrality & Borderlands. We’re joined by Craig Aaron, the President and CEO of Free Press, he will share recent updates on the FCC meeting, Net Neutrality and public media. 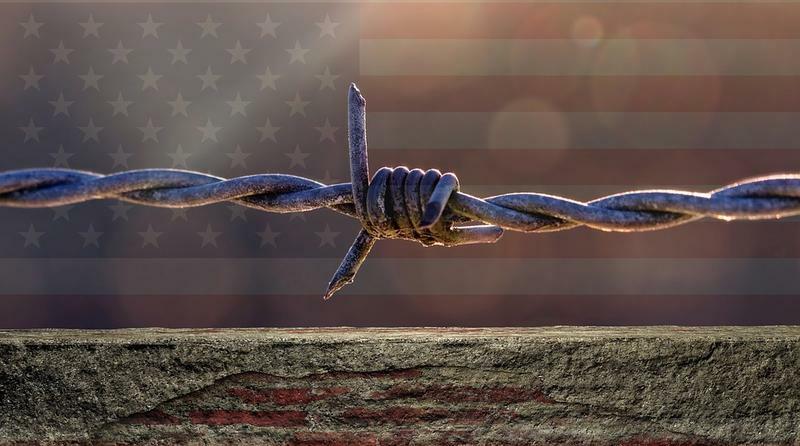 We also speak with Dr. Bernadine Hernandez, an Assistant Professor of American Literary Studies, about her studies of the United States - Mexico border, immigration and borderlands. 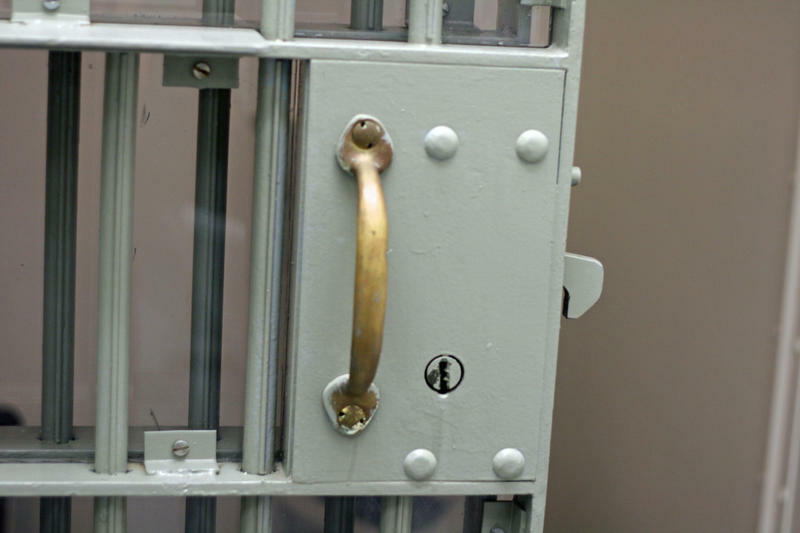 A proposal that would prevent state and local police from detaining or arresting people who are in the U.S. illegally was scheduled to be heard on the Senate floor in Santa Fe this week. Last week, an Albuquerque church offered sanctuary to an Albuquerque grandmother under threat of deportation. Her name is Emma – she’s originally from Honduras and she’s been living in the U.S. for 25 years. 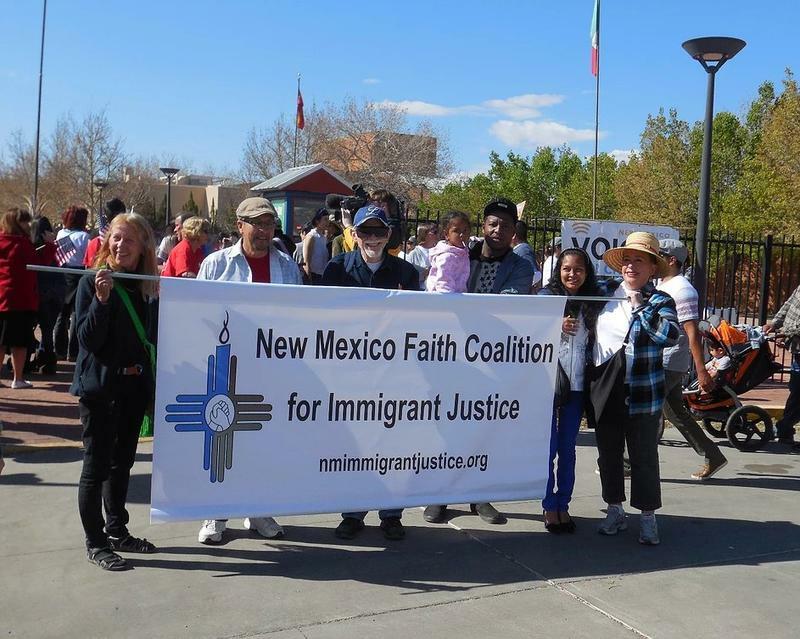 The Albuquerque church is one of over a dozen churches in the nation to provide sanctuary to an immigrant. President Trump has signed a revised executive order, once again barring travel to the United States from six majority-Muslim countries and suspending the U.S. refugee program. This annotation features the text of the new executive order along with context and analysis from NPR journalists. KUNM Call In Show 3/2 8a: Call now toll-free 1-877-899-5866. President Trump has issued executive orders that beef up immigration enforcement, and that also affect refugees and travelers from certain majority-Muslim countries. 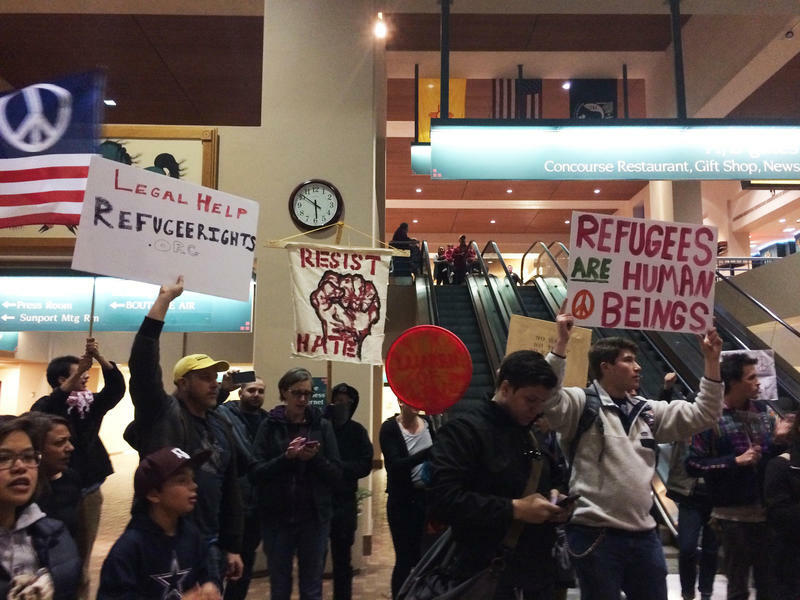 Is toughening rules on immigrants and refugees a good thing for New Mexico? What are the implications of these rules, and how are local elected officials responding? U.S. Immigration and Customs Enforcement raids in cities across the country are alarming immigrant communities. 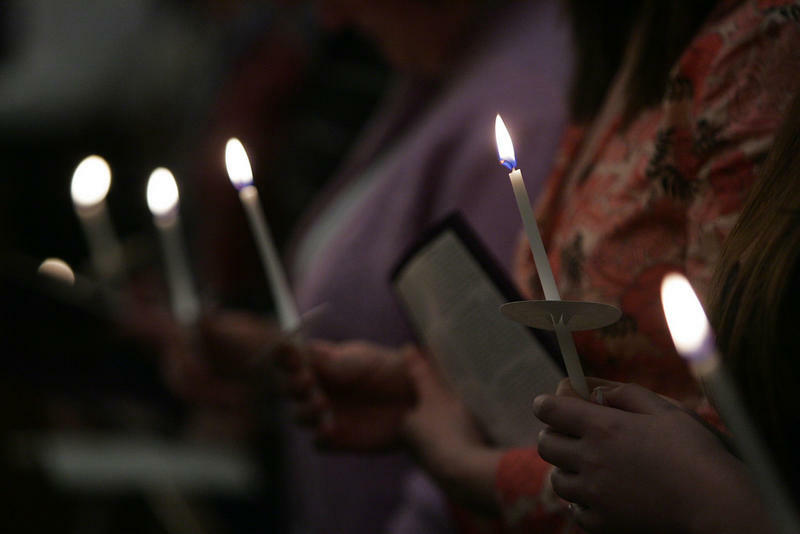 Hundreds of Albuquerque community members found solace with each other Friday night at a candle-lit St. Paul Lutheran Church.